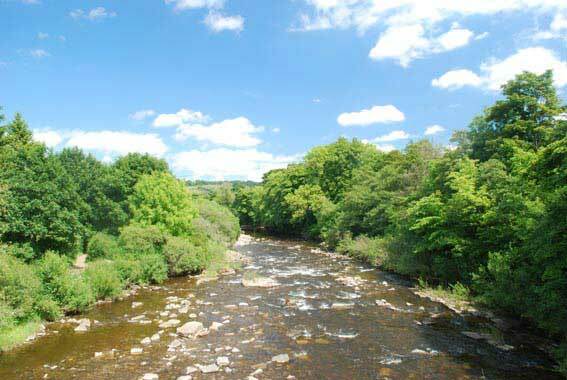 Wolsingham is a market town situated at the edge of the Pennines in northeast England. 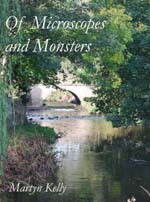 The River Wear flows past the town and the broad, shallow riffles are easy to sample. I’ve visited many times over the years; the pictures here are from a series of visits made during 2009. The studies started as a meditation on the thought processes of microscopists - how we have to mentally reassemble communities that we have to disrupt in order to study under our microscopes. 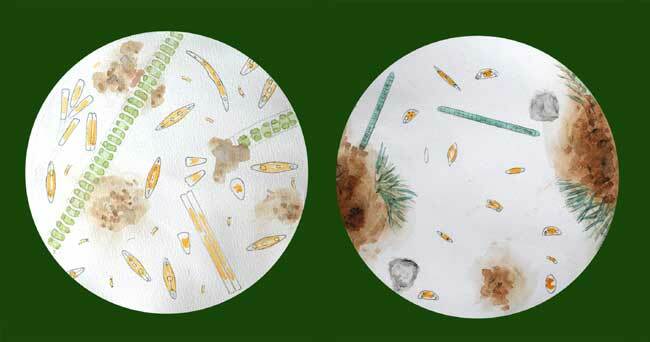 The views below are of two samples, as observed under the microscope. 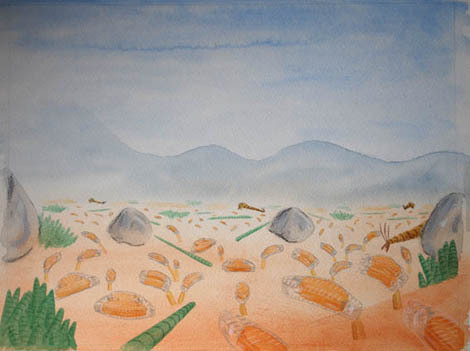 After this, there are two images showing what those same microscopic communities may have looked like in their natural state. 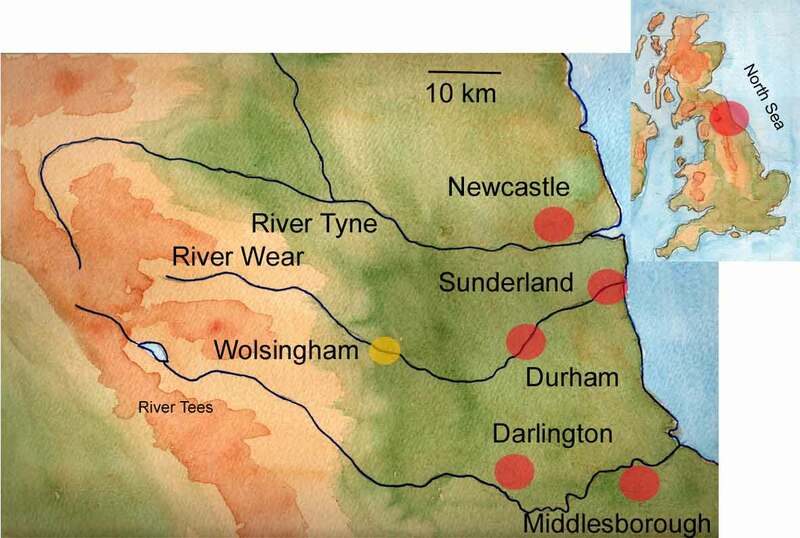 This picture is based on analyses of samples from the River Wear in February 2010. 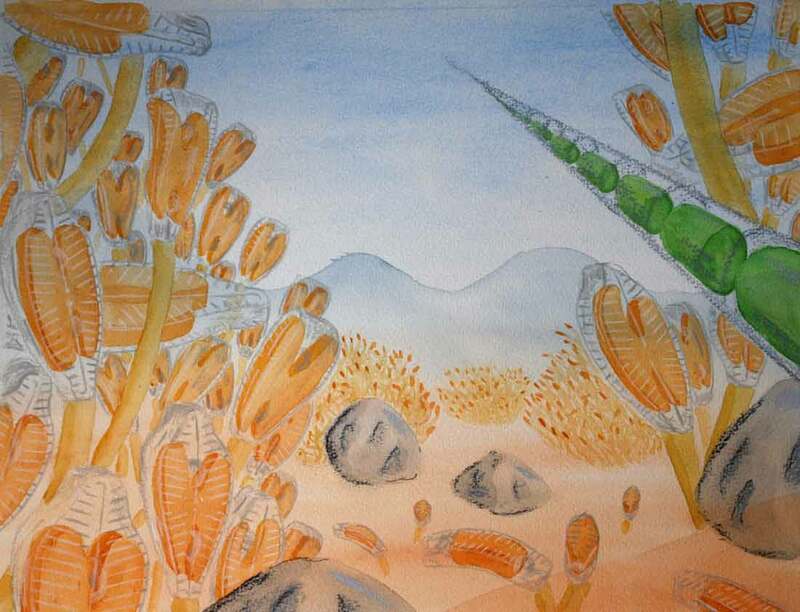 The sample was dominated by bush-like growths of the diatom Gomphonema olivaceum ag., within which motile diatoms such as Navicula lanceolata moved. On the right of the picture is a filament of Ulothrix zonata which, a month later, smothered the top surfaces of most of the submerged stones in the river. The same location but five months later and, again, based on analyses of samples from the river. As the water has warmed up, so invertebrates have become more active and have grazed away much of the growth seen in the February image. The top surface of submerged stones is now a tigthly cropped "pasture" of Achnanthidium minutissimum within which Cyanobacteria also thrive.